The current spate of celebrity deaths has left many people unequivocally dejected and rightly so. Beloved cultural figures and unwitting public servants who, even on the very periphery of our radar, bestowed colour and vibrancy that we never would have known without them. They’ve all had their effect on me; Lemmy was a kick up the arse, his ethos dutifully cauterised any soft spot I may have had for Bon Jovi or Poison. David Bowie inspired me to strive for a unique voice in whatever I do and Alan Rickman imbued me with a vital wariness of heights and to a certain extent, spoons. My Nan was a big fan of Terry Wogan. 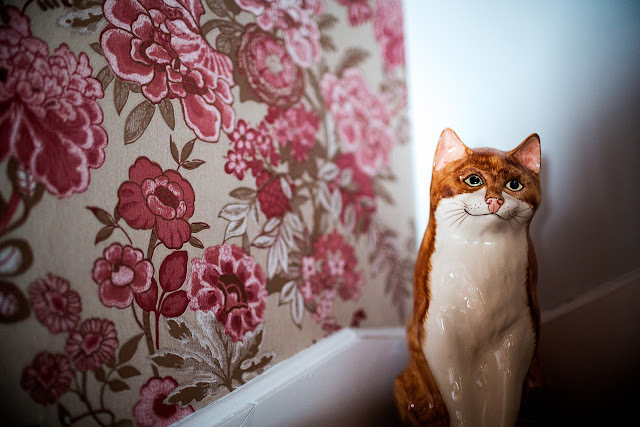 A true TOG who was so fond of him that she named a full scale ceramic cat statue in his honour. Wogan (the cat) took pride of place in her living room, his kind face that of a diligent guardian. As a kid I was quite allergic to cats (real ones), but Wogan didn’t yield the usual histamine response so seeing him was always a highlight of our visits. I was quite enamoured with him. Upon my Nan’s passing the responsibility of Wogan shifted to my Mum. Nan didn’t have a lot of possessions but she did have a lot of kids (15) so the inheritance of Wogan was a big deal indeed. Nowadays he’s the watchman of the wooden hill, sitting halfway up the stairs in my parents house, the ever present reminder of why Terry Wogan is so entwined with the memory of my Nan. Very proud to have been crowned 'Best Editor' at the Ibiza Music Video Festival.